Today was the 3rd and final day of the workshop and we ended on a bang! But before I go into today’s activities I want to say how pleased I am with the presentations by the Wilkes students yesterday. 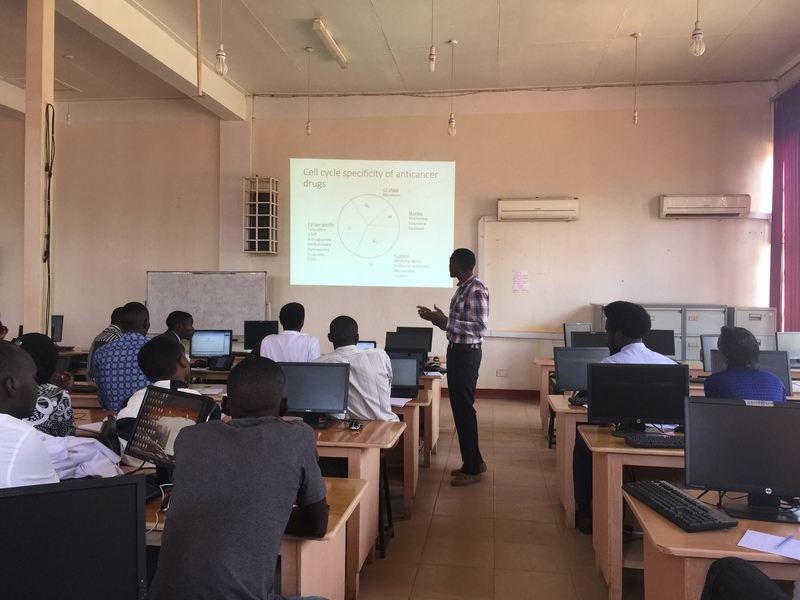 They were given topics and asked to prepare presentations for a Ugandan pharmacy student and faculty audience only 1.5 weeks before we left and not only did they have to review Western medicine guidelines but I also wanted them to be sure to consult the Uganda Clinical Guidelines and learn what drugs are available in the country. All three of them did a wonderful job. 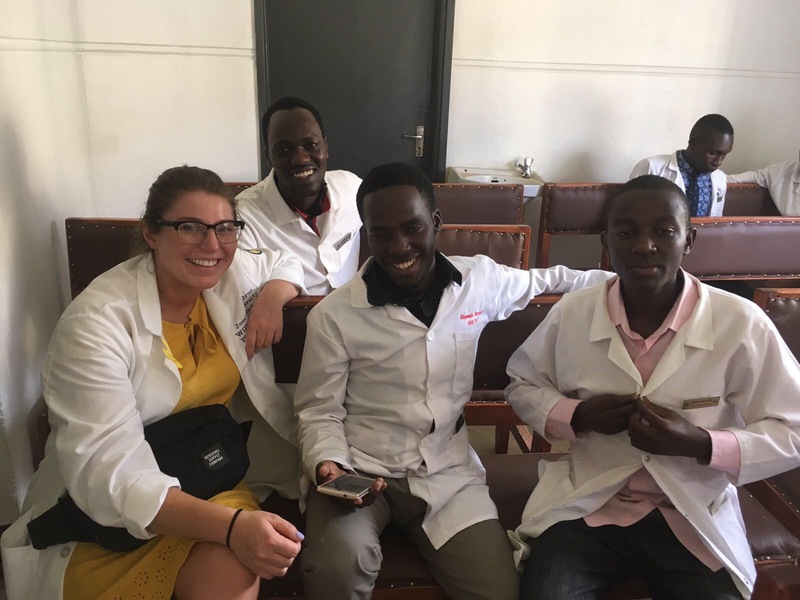 And in addition, the 2 Ugandan pharmacy students who presented their patients from the rounds at the hospital yesterday also did extremely well! 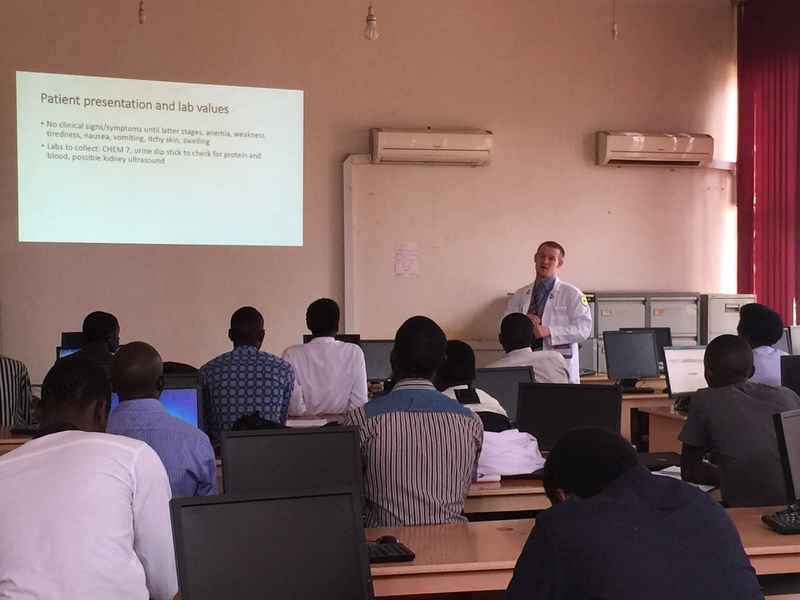 Today, the morning started with a meeting with the Dean of the Faculty of Medicine, Dr. Samuel Maling. 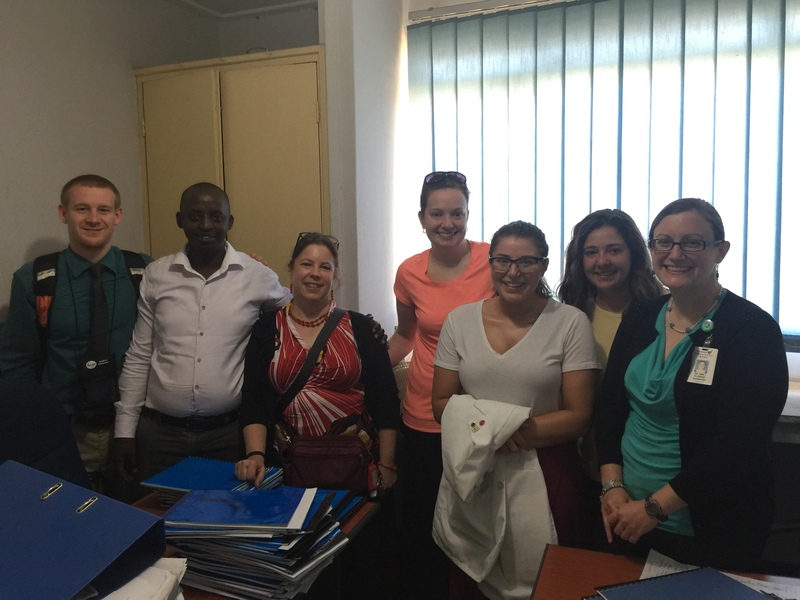 The Wilkes students and I along with Dr. Pauling and Dr. Flores, 2 Ugandan pharmacy students and Peter, the Pharmacy Faculty member I’ve been working with attended. 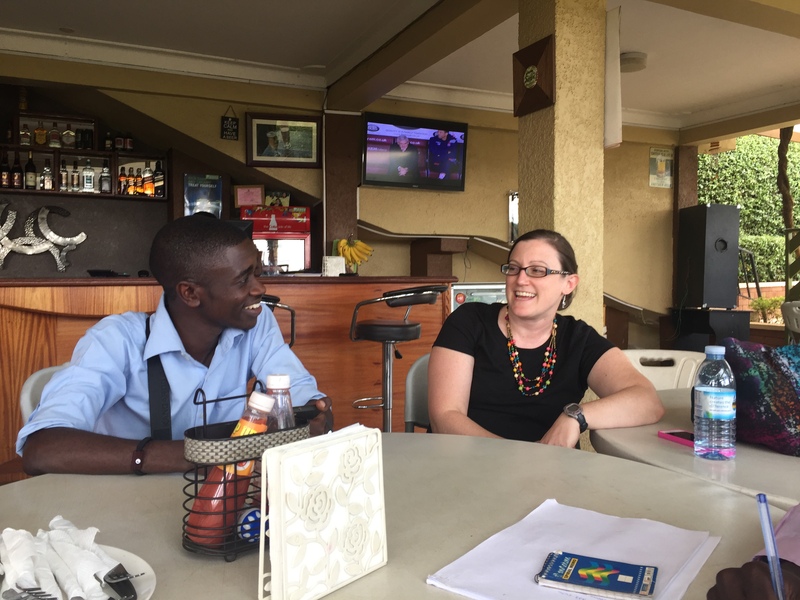 Besides the usual introductions, we had a nice conversation about how teaching pharmacy students is different in the USA from Uganda and we discussed many opportunities to collaborate with teaching and research. Dr. Maling is a Psychiatrist and is really interested in studying Substance Abuse in Uganda which is coincidental because I’m really interested in the issues that need to be addressed to get our own Opioid Epidemic (USA) under control and since I’ve moved to Binghamton, I’ve learned this town and the surrounding areas are especially bad. We also discovered that MUST recently acquired a grant to develop Simulation as part of the health professions education. They are building a SIM lab and will work with Standardized Patients (actors who pretend to be patients) as well as have Simulation Mannequins. 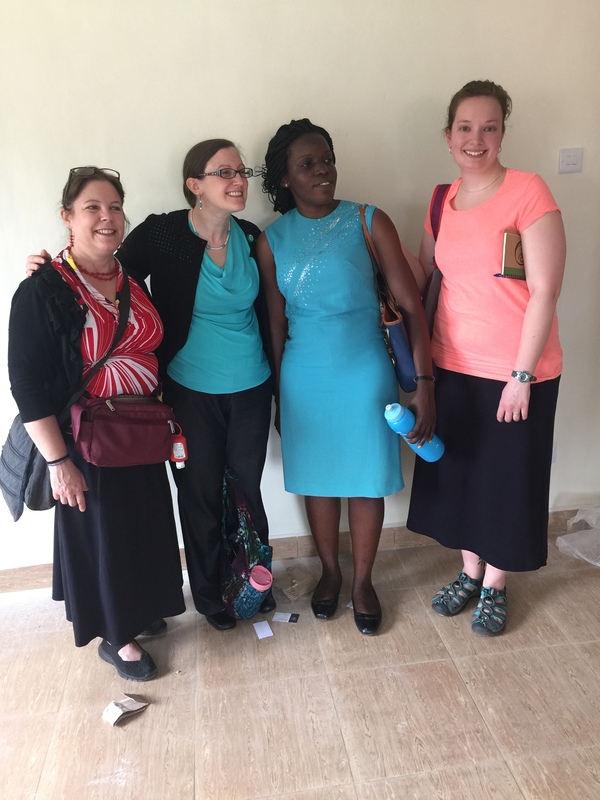 We met with Josephine, the Director, who showed us the new facility which is almost complete. It turns out they have not yet involved pharmacy in the discussions and creations of Simulations, but when we told them all about how important Simulation is in the pharmacy curriculum to prepare pharmacy students to use the skills in a simulation setting before using the skills on patients in the healthcare setting, she invited the pharmacy school to join the efforts. We also discussed the emphasis on Interprofessional simulations in USA health professions schools so that all of the healthcare students learn to work as a team before going out into practice which turned out to also be of great interest to her. 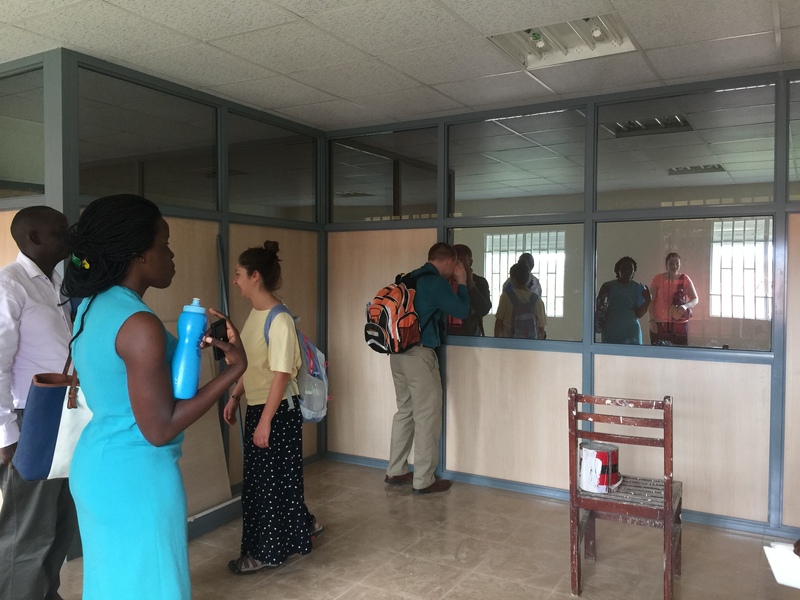 In the late morning, the Ugandan students once again presented the patients they had seen on pharmacy rounds the day before. 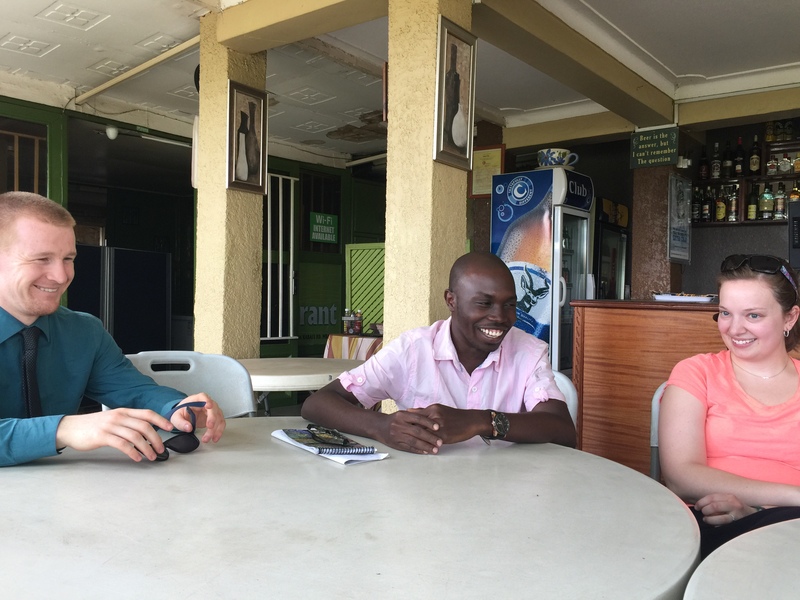 This time it was 2 of the 4th years whom I met last September and who actually started the process of getting me to come to Mbarara. 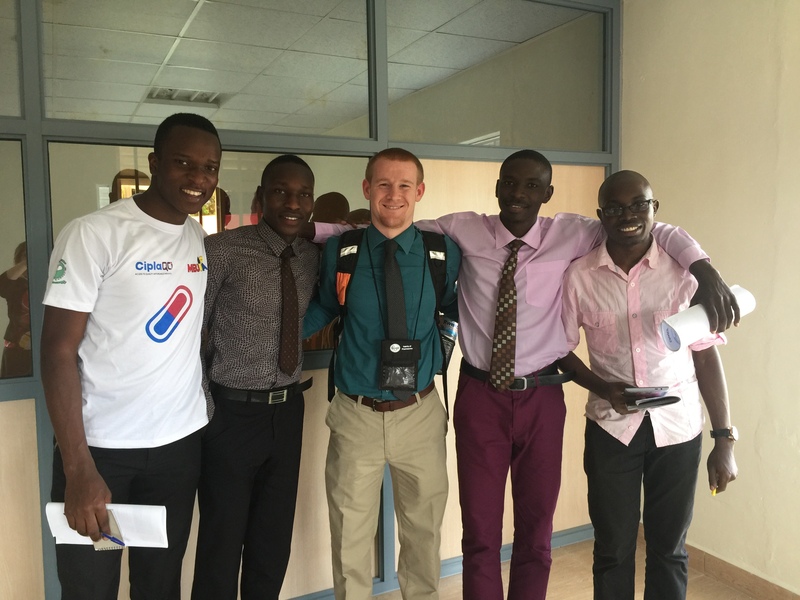 They did a great job and I am so thankful for the day I met Noah up in Kampala at the Makerere University Health Professions Student conference. 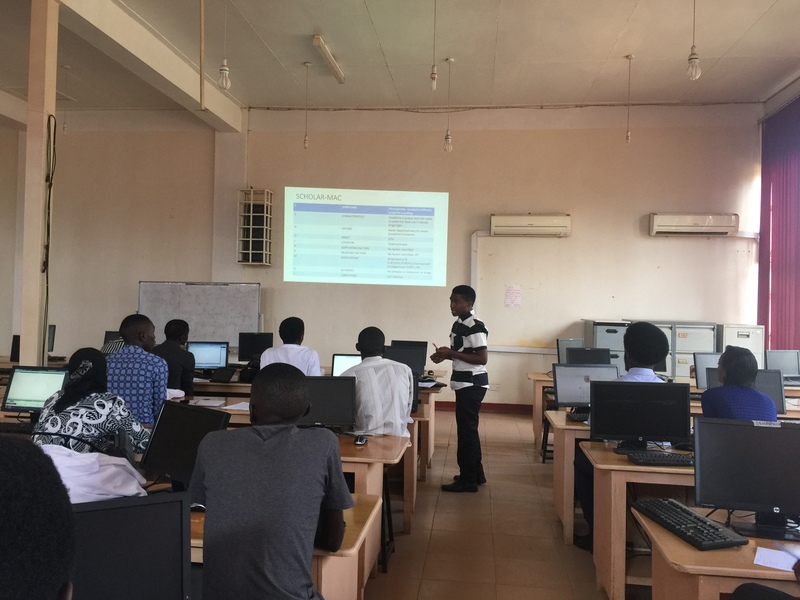 His interest in clinical pharmacy and his dedication and persistence led to the first Pharmaceutical Care Workshop last fall. And now we are here again, building on top of what was previously started with so many new opportunities for collaboration presenting themselves. Finally, in the afternoon the MUST students held a social gathering at a local restaurant. Instead of talking about pharmacy, the leader asked us all to introduce ourselves again, but instead of talking about pharmacy specifically, we were to say what we would do if we weren’t in the pharmacy profession (or school), talk about our hobbies, and then tell the story of how we got to pharmacy school in the first place. 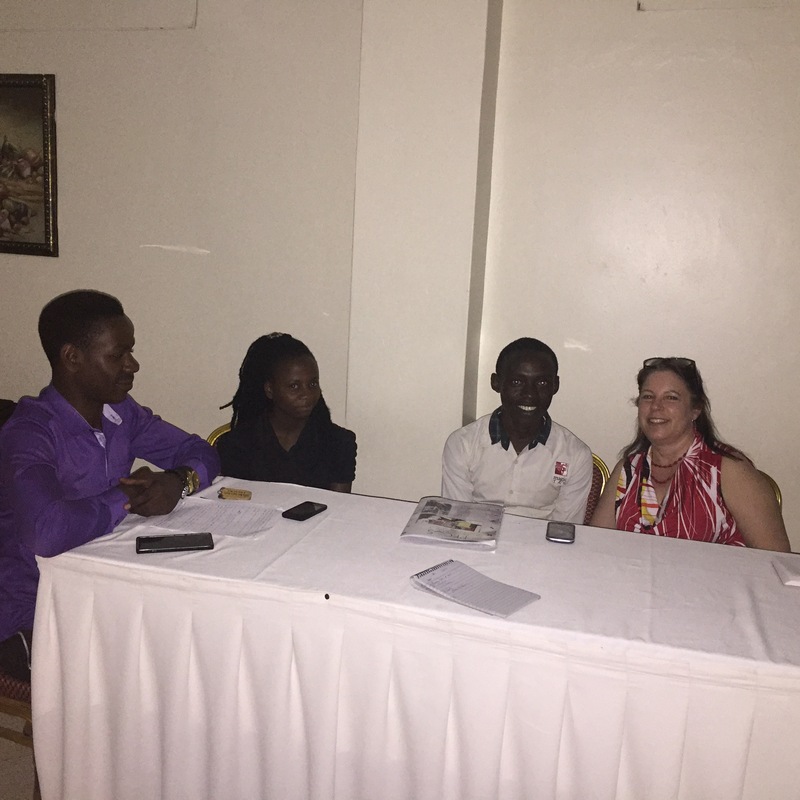 There were many funny stories and it was so interesting to hear the Ugandan students talk of the obstacles they had overcome or their early choices of being engineers or clergy and how they eventually came to pharmacy school. They are also extremely bright and clever. One of the students only had paraffin lamps at school and this didn’t provide much light to study by so he figured he could get some batteries and somehow attach them to a light bulb and get it to work. (there was no electricity in the school). And he was able to finally get that light bulb to work and he hung it from the ceiling. While other students struggled with paraffin lamps, those sleeping in his room studied by the light bulb light. At the end of the day, after most of us had said our final goodbye’s, 3 second year pharmacy students came to interview me for their school magazine. What I thought would be a few questions turned out to be about 1-1.5 hours long- but that was probably partly if not all my fault- I love talking about the work I do here and my experience with the students, I’m sure I went on and on. Hopefully they got what they were looking for. This has been an excellent trip and I can’t wait to come back. If I thought there were many opportunities for collaboration in teaching and research before, I have become even more overwhelmed at the many ideas we’ve bounced off of each other this trip. I am so happy to have other faculty on this trip, both from my University, Binghamton, as well as East Tennessee State University, because we can all take part in these opportunities and work with our strengths to help MUST improve education of pharmacy students and advance the practice of pharmacy to improve patient care. The question is, where to begin….. This entry was posted in Diseases/Health, My Safari (My Journey/Adventure) and tagged Africa, Binghamton University, binghamton university school of pharmacy and pharmaceutical sciences, Global Health, Global Pharmacy, Global Pharmacy Education, Global Pharmacy Practice, international pharmacy, Mbarara Uganda, Mbarara University of Science and Technology, pharmaceutical care, Pharmaceutical Society of Uganda, Pharmacy Students, Uganda, Ugandan Pharmacists, Ugandan Pharmacy Students, Wilkes University, Wilkes University School of Pharmacy. Bookmark the permalink.